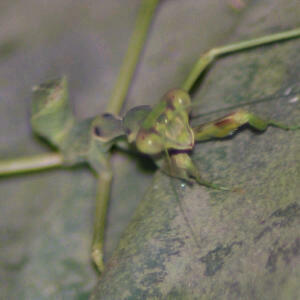 I found this Mantid on a banana leaf at night in Nelspruit South-Africa. It ate caterpillars . Best time at night to look for this 55mm Mantid is between 1am and 3 am .